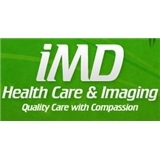 iMD Healthcare & Imaging (Humble) - Book Appointment Online! Greetings from the office of Humara S. Gull, M.D. Telemedicine visits and late apppintments available for new and established pts everyday and saturdays. My specialty is Internal Medicine and Nuclear Medicine, with special interest in cardiac imaging and women's comprehensive health. Besides providing well exams, my FNP and I also provide diagnosis and management of Diabetes, Hypertension, Heart disease, Thyroid disorders and hormone replacement therapy. With over 15 years of experience, I specialize in chronic illness management and preventative care to help adults avoid medical issues before they begin. The office provides laboratory services and diagnostic services as Echocardiograms, vascular ultrasounds, exercise stress tests, and Thallium scans. The office is equipped with state of the art medical technology and the staff is highly trained to provide empathic and welcoming individualized medical care. Our office is open every 2nd Saturday of the month and we offer late in-person and late appointments. She was really toned in on hearing about my challenges with my health. She spent at least an hour in the room because I was a new patient. I am 90 percent deaf and she and her assistant worked together to help me understand.